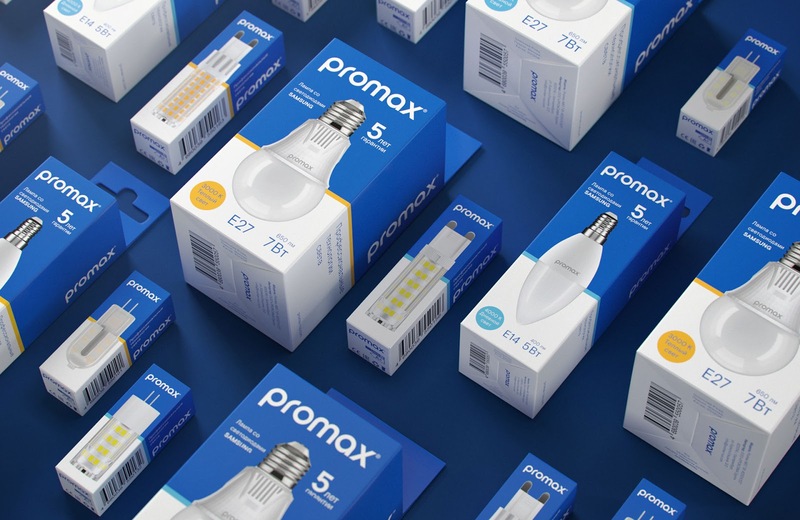 The company Promax is just beginning its journey, but is ready to supply people’s homes with professional lamps with Samsung LEDs, which serve from 5 to 15 years. 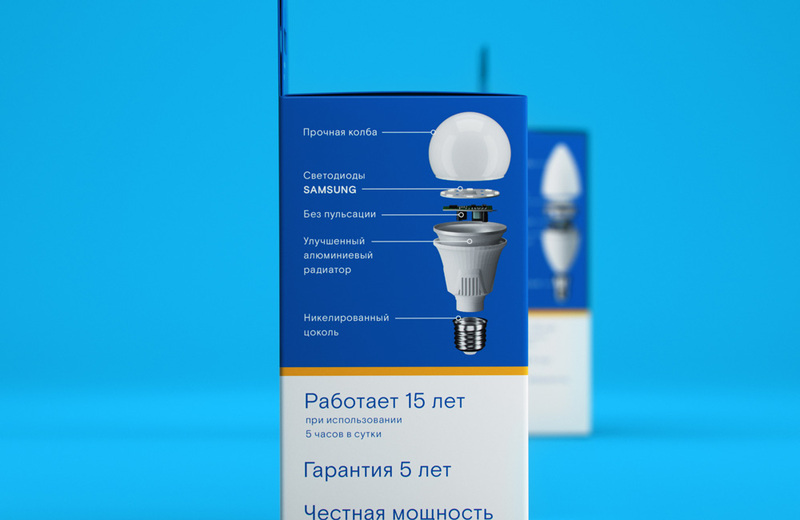 High quality of the products is solved question, then the issue of developing, positioning and visualizing new brand was taken by agency Funky Business from Yekaterinburg. 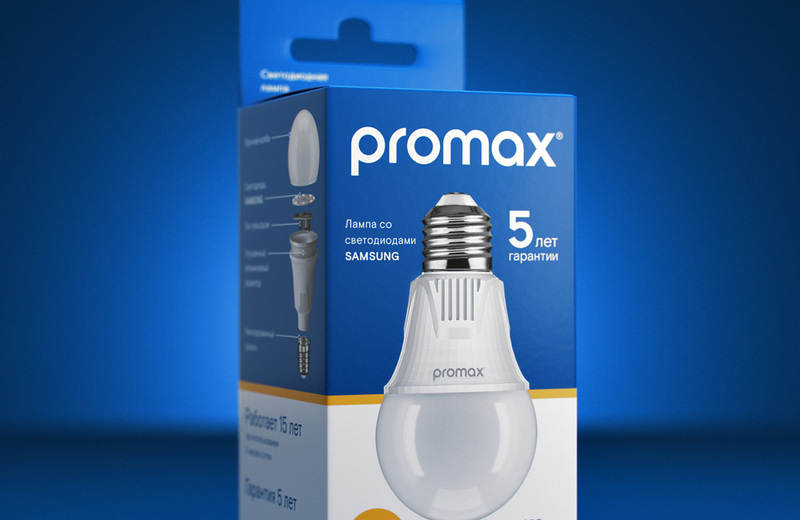 "Our client produces professional lamps for home use, the name consists of two words" PROfessional "and" MAXimum ". 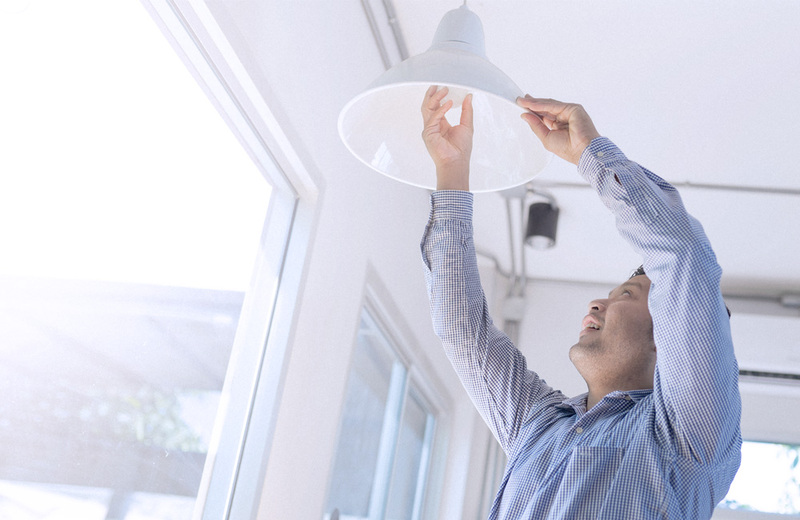 After the research we realized that 95% of light bulb buyers are men. This determined strong nature of brand and accessible communication tone. Also we developed all communication materials and brand book. " In visual part the agency made a bet on predominance of blue. "We studied the market and came to conclusion that blue attracts attention on the shelf and is not used by competitors. In our case it symbolizes unlit space, while white is illuminated. 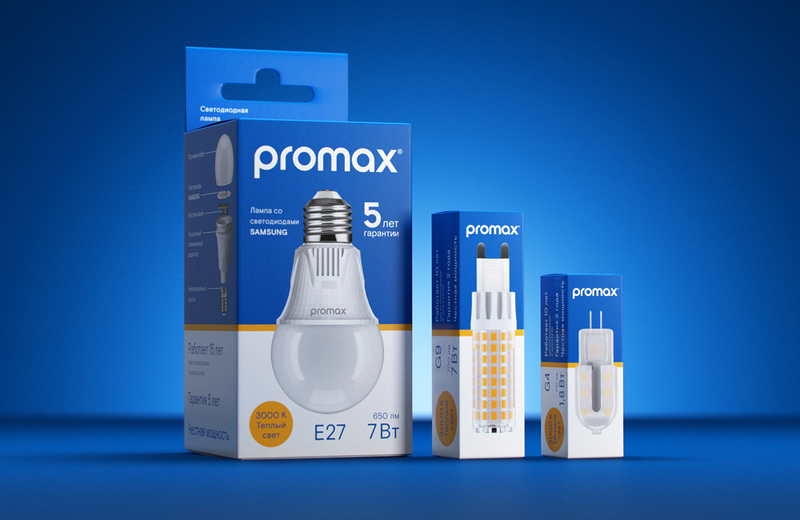 The boundary passes between bulb and lamp radiator, it illustrates our idea. " 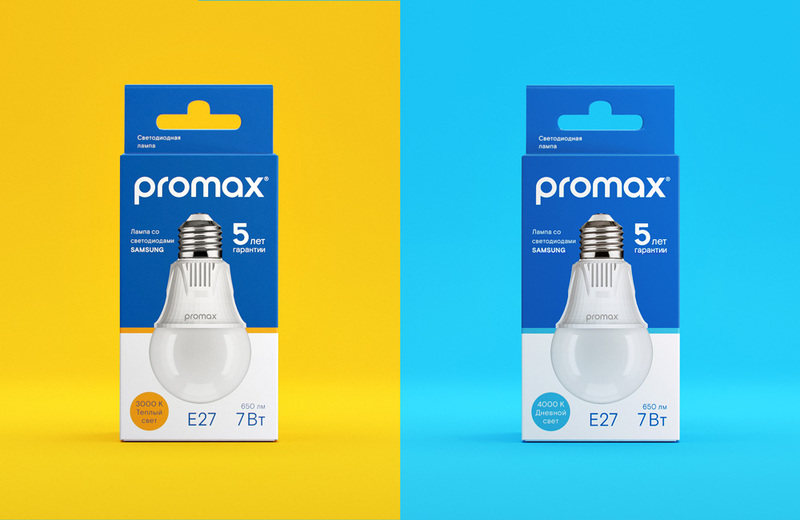 Blue or yellow circle on the front side informs the buyer about temperature of light: cold or warm. 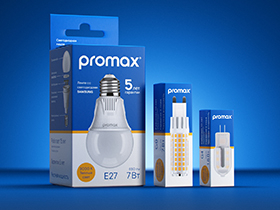 And the explosion-diagram illustrates lamp components and openness of the brand: person sees what he pays for. In the end we get modern, understandable brand with pleasurable visualization and quality product.